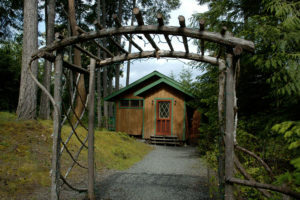 The SAORI Salt Spring Studio in the woods is a cozy retreat full of colour. Looms are set up and ready to weave on. I have different models of the SAORI looms so that you can try them out if you are looking to purchase a loom, or just so that I have the right size to suit you for your workshop or day of weaving. I have the SAORI tools, yarns, warps, books, equipment and some SAORI handwovens all for you to see, try and explore. Whether it is a two-hour “Try It” workshop or a week-long retreat, there is plenty to do, to learn and explore and try out. The studio in the woods is also a great place to get quiet and hear the inspiration from within. Explore. Discover. 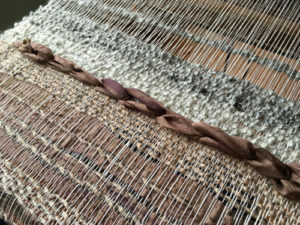 Weaving as Meditation. Social Weaving. It’s all possible and the possibilities are endless.